"America's Next Top Model" contestants got into a catfight while trying to audition for the CW reality hit that could launch their modeling careers. Three people were arrested and six others hurt Saturday after fighting and a stampede broke out while thousands waited to audition for "America's Next Top Model" in Manhattan, police said. Police didn't know what prompted the chaos outside the Park Central New York hotel in Manhattan. But witnesses spoke of a smoking car moving toward the crowd that some thought held a bomb, the New York Post and New York Daily News reported. The subsequent panic -- described as a stampede -- left the street outside the hotel littered with shoes and clothing, according to news reports. Three people were arrested on disorderly conduct charges, police said. Authorities also shut down the audition, saying it wasn't properly organized. 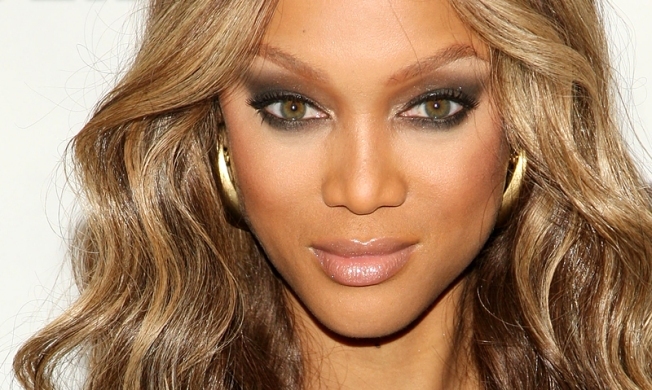 Show creator Tyra Banks and co-executive producer Tom Mok said in a statement issued Sunday that they were "concerned by the events that occurred Saturday afternoon in the vicinity of the New York City casting call." "At this time, we still don't know all the details of what happened or what triggered the incident," the statement read. "We appreciate the efforts of the NYPD and will assist them in any way possible in this matter." Witnesses described the environment as brimming with tension as up to 10,000 would-be models lined up outside the hotel. "I had to pee in a cup and change my clothes in the street," Mona Knight, 18 told the Daily News. "There was no organization whatsoever." Another wannabe model told the News of fighting that broke out between two men, one of who threatened to return with a gun. Next a BMW with smoke coming out of its hood approached the crowd. "The metal barricade fell down. All of a sudden we heard this roar from behind us and we looked behind us and there's a wave of people falling on top of us," Kiara McCarthy, 19, told the News. Four injured people declined treatment, while two others were taken to a hospital, the fire department said. Their conditions weren't immediately available. The phone rang unanswered at the hotel. Representatives for The CW Network, which airs the show, released a statement saying it was working with authorities investigating the incident. Banks has said she created the show to counter stereotypes about beauty, and Saturday's auditions were open only to women no taller than 5-foot-7, which is shorter than the industry's conventions. Tryouts also were being held this month around the country, including in Dallas, Chicago and Los Angeles. At least one would-be contestant in the New York throng said the tumult wouldn't stop her from trying again. "This is my dream, so I'm not going to give up," Gifty Asika told WNBC-TV.